After a whirlwind week of shows and music industry showcases at SXSW in Austin Texas, Welsh Rockers The People The Poet are set to release their EP ‘Paradise Closed’ on April 1st on Beeline Records. 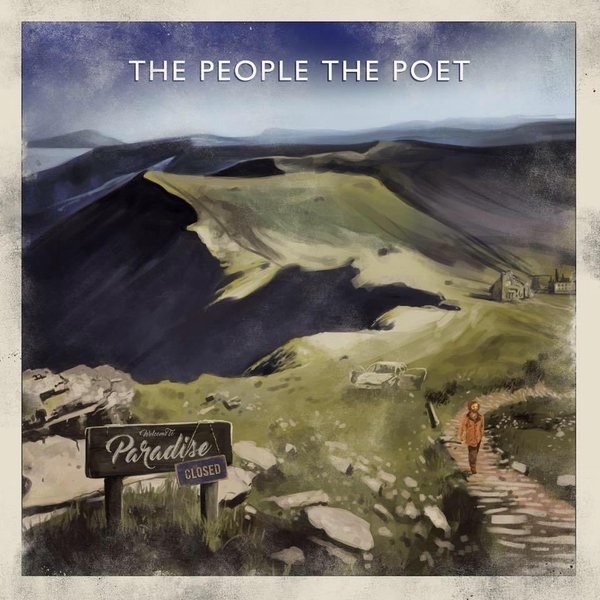 Paradise Closed is the brand new EP from acclaimed Welsh rockers The People The Poet. This is without doubt the strongest collection of songs from the four piece to date which includes the singles ‘Matchday’, ‘Same Heart’ and ‘Club 27’. Since their 2013 debut album “The Narrator” the band have toured the album relentlessly with bands such as Deaf Havana, Charlie Simpson, Straight lines and The Dear Hunter, performed festivals such as Latitude; Liverpool Sound City; Swn Festival; The Hay Festival; The Great Escape and the world’s biggest new music showcase SXSW in Austin Texas. Upon the successes of their showcase last year the band have been invited to perform at SXSW once more and have picked up a bunch of new showcase opportunities to help them to promote their new musical offerings. The band have subsequently been invited to perform at Canadian Music Week in May. Opening the 6 track EP is a Britpop-esque anthem straight out of the 90’s which draws comparisons to fellow Welsh rock legends Manic Street Preachers whilst delivering a new edge of British humour and sarcasm similar to Blur. The first single (released March 15th) from Paradise Closed is ‘Club 27’. This is one of the stand out songs which takes the band out of the garage and places them in Wembley Stadium. The song lyrically pays tribute to the influential members of the tragically coined ‘27 Club’, referencing the likes of Kurt Cobain and Jimi Hendrix whilst throwing in the odd bluesy lick. The song takes influences from the likes of Bruce Springsteen and Gaslight Anthem ending on a gritty and powerful sing along. The previously released single “Matchday” is a change of tempo which could be likened sonically to Sam’s Town by The Killers. From the moment you hear the delayed guitars that opens “Same Heart” you know that you’re about to hear your new favourite anthem. Lyrically the song is one that leaves you in deep thought asking yourself what kind of world we live in. ‘Needle In A Haystack’ is a trippy Incubus meets Pearl Jam style song which tells the story of a father who sadly lost his battle to his drug addiction. With haunting guitar sounds the song is full of twists and turns which lead to a key change chorus that shows a more gentle side to the Leon Stanford’s voice. The closing song “When The Fire Goes Out” is the softest song of the EP which is layered with acoustics and piano rivalling sounds produced by Coldplay and Snow Patrol. Two tracks on the EP “Matchday” and “When The Fire Goes Out” have received radio love with airplay from Huw Stephens (BBC Radio 1), Dermot O’Leary (BBC Radio 2), Nation Radio, Planet Rock and Kerrang. The rugby anthem Matchday was playlisted on BBC Radio Wales and was used for Welsh Rugby Union TV and BBC Wales television favourite Scrum V.
“Paradise Closed” is a 6 track EP which is available for digital download on Beeline Records. 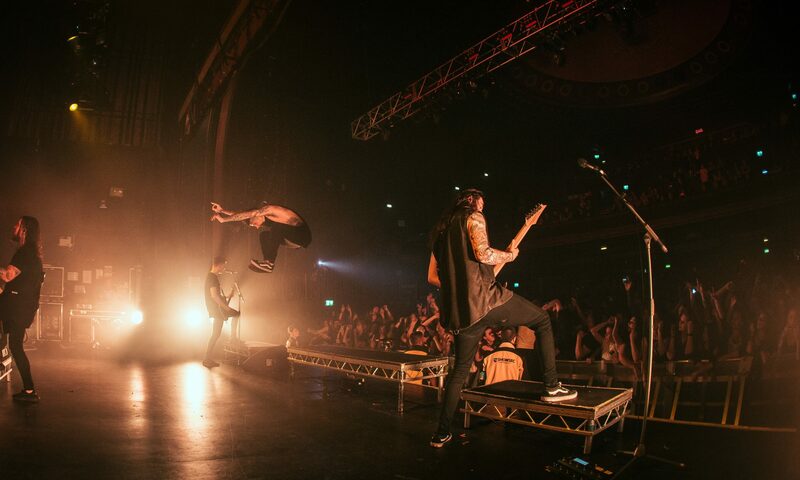 The music has been described already by the band and Tom Sarig (manager of Gaslight Anthem, Twin Atlantic) as the best music they have ever written.